Have you ever wondered what it’s like to run in Barcelona? Just press start. Download a Google Maps™ route or create your own. 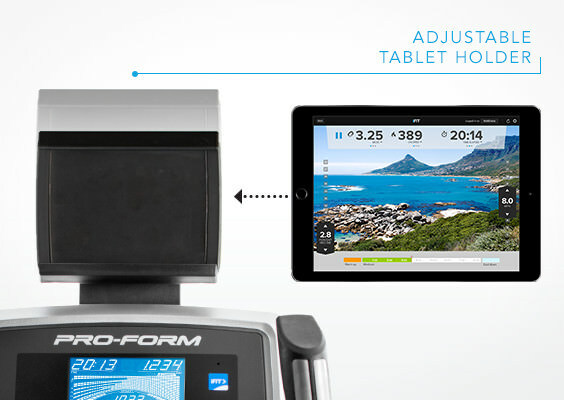 This iFit® Coach Ready™* elliptical automatically adjusts the incline to recreate trails from anywhere in the world. Customize your training with unlimited workouts designed by certified personal trainers. This ever-growing workout library offers programs that progress with you from beginner to marathoner. Subscription required. Making time for world travel is a challenge—but it doesn’t have to be impossible. 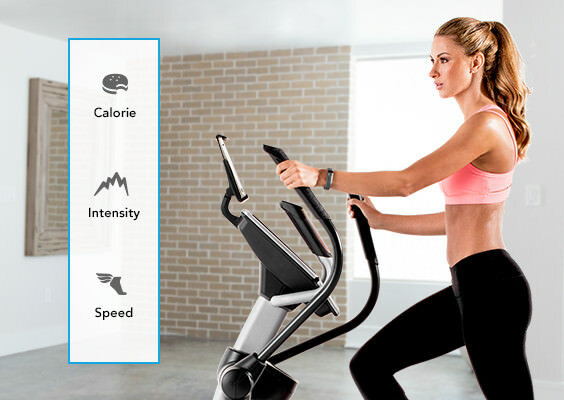 Visit Paris, hike the Swiss Alps, or jog the Chilean coast with your iFit® Coach Ready™* elliptical powered by Google Maps™. You can also customize your workouts with unlimited programs designed by certified personal trainers. And our ever-growing workout library offers programs that progress with you from first-time user to daily enthusiast. Step up to a maximum stride length and an extra smooth ride with this front drive design. 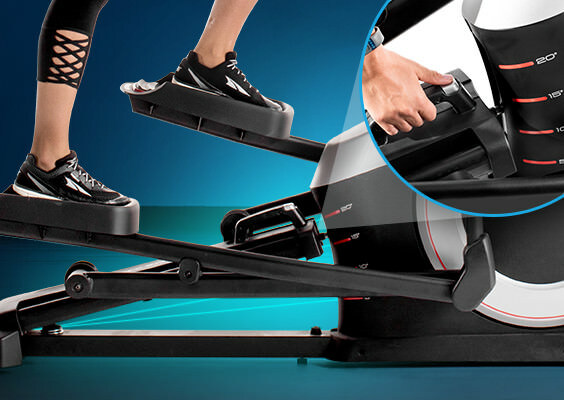 The sophisticated, small footprint of the ProForm® Endurance 520 E Elliptical is perfect for any space. With the included AC adapter, the Endurance 520 E gives you the option to keep the power connected anytime you’re ready to train. Enjoy long, full strides with this generous 19-inch stride length. Get a total-body, low-impact workout with upper-body workout arms. 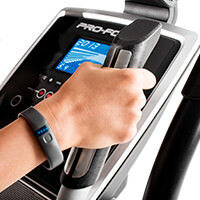 Elliptical training engages your entire body with every step. We know you love the outdoors. That’s why we made incline training available on your elliptical. Now you can hike any mountain without leaving your living room. 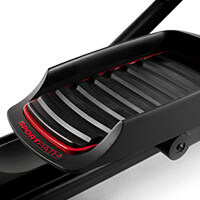 With a quick adjustment, this ramp adjusts your incline allowing you to focus on specific muscle groups. Target your glutes, quads, and calves for realistic trail training. You’ll be 100 percent prepared for the next family hike. With 18 digital resistance levels, you can start out easy and progress to intense. Each level is smooth, frictionless, and silent with our patented SMR™ Silent Magnetic Resistance. Our smooth, silent resistance system allows you to adjust your workout intensity without disturbing the peace. Keep your elliptical stable on an uneven surface with these oversized leveling feet. Stay hydrated throughout your workout by keeping your water bottle close. 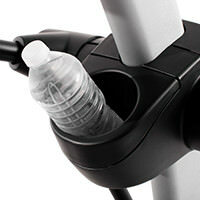 This convenient water bottle holder is built into the elliptical frame for easy access. 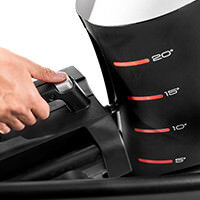 This elliptical accommodates up to 300 pounds. The ProForm® Endurance 520 E is protected with a Lifetime Frame Warranty and 1-Year Parts & Labor Warranty. Please note: Lifetime Warranty pertains to the lifetime of the original purchaser. When this elliptical is fully assembled, the height by width by depth dimensions are 68.5” x 25.7” x 68.25”.